Currently CNC machining is more and more popular with the industry constant development, most of metal products and plastic products are manufactured by both CNC machining and moulding processes. It means that this type of technology is very important in industrial field. CNC machining can fix many issues in production that can not be solved by other processes. A simple question, Usually precision metal parts are CNC machined, even in the first stage with mould, it will also be machined after moulded because of roughness and precision, moulded metal parts are rough. No matter sand casting mould or die casting. IE(industry engineering)In the process of studying production of CNC machining, the paper puts forward the specific research methods, develops the clear development process, analyzes the improvement points in CNC machine tool production management, and effectively excavates the production potential. Through the CNC machine tool production automation application case, analyzed in the automation development and production promotion in the process of effectiveness, build a production and automation between the development of the bridge. And finally to optimize the CNC machine tool manufacturing process, improve production management, change the traditional manual management and other production methods. IE for improving productivity. Reduce the human needs, enhance the cohesion of enterprises, providing a strong technical support. 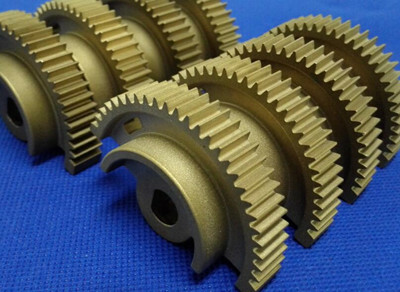 CNC machining services have several advantages over other manufacturing processes. Such as: It is cost effective for short runs. Complex shapes and high dimensional tolerances are possible. Smooth, Polished, Anodized, Coating. Other finishes can be achieved. CNC milling can make almost any 2D or 3D shape offered which the rotating cutting tools can reach the material to be cut off. Examples of parts include engine components, mold tooling, complex mechanisms, automotive parts, medical components, etc. With the increasing competition in the market, enterprises in the capital, production capacity, quality, delivery, cost and manpower, etc., facing enormous pressure. The actual production process of the many problems, resulting in low capacity, quality, instability, high labor costs, serious staff loss and other factors affecting the production and operation of the situation occurred, making it difficult for enterprises to meet the higher market competition requirements. Enterprises can not rely solely on the increase in equipment, manpower, but can not simply rely on overtime to meet customer requirements, but should rely on scientific management methods to tap its potential, IE is provided by the scientific management methods. Through the use of IE’s work research and other analytical methods, in-depth enterprise production and business activities, put forward, analysis and coordination to solve the production activities exist, hinder the warehouse industry to improve the competitiveness of a series of issues to improve production management level, adapt to market development needs. In this paper, a large number of IE research and analysis of CNC machine tool production and processing, put forward and implemented the automation solution, and finally achieved a better technical and economic benefits. CNC machining in the production process, without human intervention, thereby improving the man-machine ratio, reduce processing costs and labor needs, improve production adaptability and production value-added. However, the traditional manual operation and management of CNC machine tools is still limited by the existing technical conditions, production management, production quality and technological level, and can not solve all the problems in production independently and completely. Through the analysis of production research, we understand the main factors that affect the processing cost, production and quality of CNC machine tools, such as processing technology, tool life, personnel quality, production management, workshop production environment, workshop logistics and production layout. These factors affect each other, resulting in CNC machine tools in the production process can not play its due potential. In rapid prototyping field, CNC machining prototype has become quite popular by designer and engineer. Investor always wants to see their new product early, and hopefully the prototype is as close as the final product or the same. Maybe for plastic prototype, the final product will be manufactured by injection moulding, but for CNC metal prototype, in most cases ,the final process is the same by CNC machining. That’s the reason why some investors like CNC prototype in the early stage of product development. IE’s work research is an effective, mining production potential of the management technology, is a better understanding of the production process of the better working methods. At present, the production management of the enterprise still stays in the stage of experience management. Through the work of IE, the production and processing of CNC machine tools are carried out in-depth and detailed research, and the action time requirements and automation solutions are proposed. Internal management, process methods, automation applications and other aspects of the existence of a larger improvement, innovation and application of space. Through improvement, and ultimately improve the efficiency of CNC machining process, to reduce human demand.